This is the first part of my ConvertKit email marketing series. I have been using Aweber for almost five years & had no issues in term of usability or sending emails to my subscribers. 4 years back (2015), when I launched my first eBook (Affiliate marketing eBook), I started reading about growth hacking the sales. One thing which I learned in this process is creating a funnel & using email marketing to increase sales. This is where I realized how important it is to segment & tag my email subscribers. Of course, I can create a funnel using Aweber, but it’s not straight forward to configure. And this is when I started looking for a perfect alternative to Aweber. Both of them looked rock solid. I might have purchased Drip because of its promising landing page which works pretty well with a newbie eBook seller like me, but I finally landed with ConvertKit after reading a lot of reviews on Quora. What are “tags” in ConvertKit? ConvertKit is growing bigger in terms of the number of users & integration. LeadPages integration which is important for me as a LeadPages customer. Easy Digital Downloads integration. This task is easy with an add-on worth only $28. I decided to start using ConvertKit for a portion of my email marketing (especially for my eBook marketing), & purchased the beginner plan which cost about $29/month for the first 1000 subscribers. 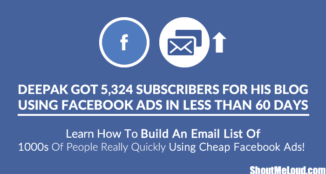 Note: I have moved the main ShoutMeLoud email list to ConvertKit. You can see the video guide at the bottom of this post. Once I started using ConvertKit, I realized that it’s simple to use and more powerful than Aweber or other email marketing services . ConvertKit has “Sequence & Tags” instead of “list” which is a common terminology for GetResponse or Mailchimp users. However, “Sequence & Tags” are more powerful to use. In Aweber, I had to pay for unsubscribed users. It was a pain and created a big hole in my pocket. However, ConvertKit does not charge you for unsubscribed users. 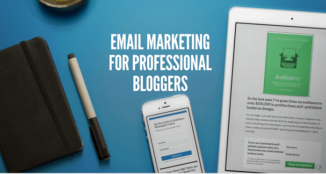 In Aweber, if a user (let’s say you) subscribes to my two different email lists (one for the beginner blogging course & another one for the advanced course), you will be seen as two email subscribers instead of one. The tag is a bit of metadata added to a subscriber’s profile to track their activity or preferences. Tags can be used to keep track of purchases, what a subscriber is interested in (e.g. design vs. marketing), how engaged they are (clicked a link in a launch sequence) and where they were imported from. A subscriber can have an unlimited number of tags. I will talk about this in detail when we cover “Tags & Automation”, but for now, let’s understand the basics. In the coming days, I will also show you how you can use ConvertKit to improve your eBook sales or any product that you are offering. Please keep in mind that this is a brand new ConvertKit account & I will be setting everything up as we move ahead in this series. Forms let you create either a landing page or a web signup form, and using either of them you can get an email subscriber. Create a landing page (you can host it on your own domain using the free ConvertKit WordPress plugin). You have four pre-built landing page design options to select from. If four designs are not enough for you, you can opt between LeadPages or OptimizePress. The second option is to select from three different styles of the web form. 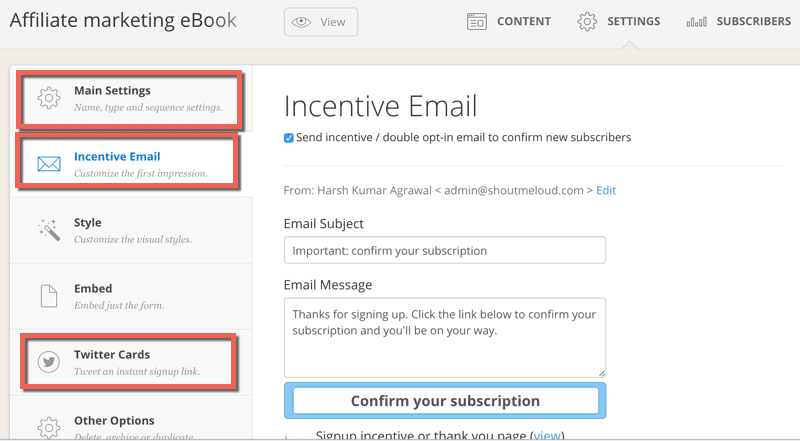 Creating & integrating an email signup form is easy & you can do it within minutes. If you have a developer handling all your website development tasks, you can share the signup form code with him/her too. When you create a form, you can offer your eBook or any other free download material that you are offering. This is a very handy Lead Magnet. Authors can offer a few pages of their eBook for free & after that, they can run their email sequence to convert leads into customers (…more on that in the coming days). 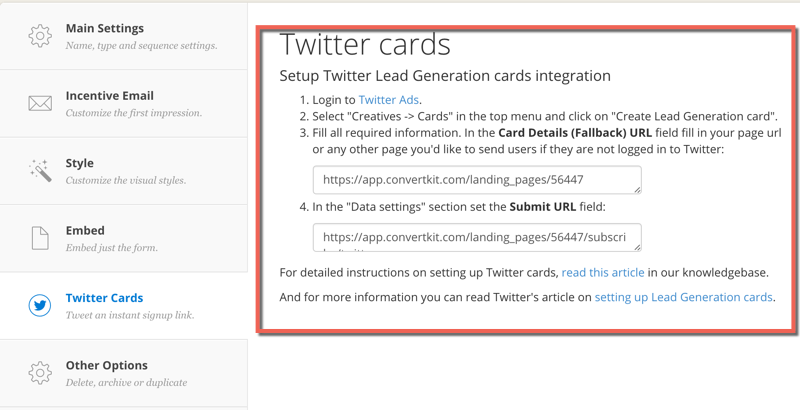 Click on Twitter cards & you can start generating leads from Twitter with a few clicks. This is something all of us have been looking to do for a long time & now it’s just a few click away with ConvertKit. 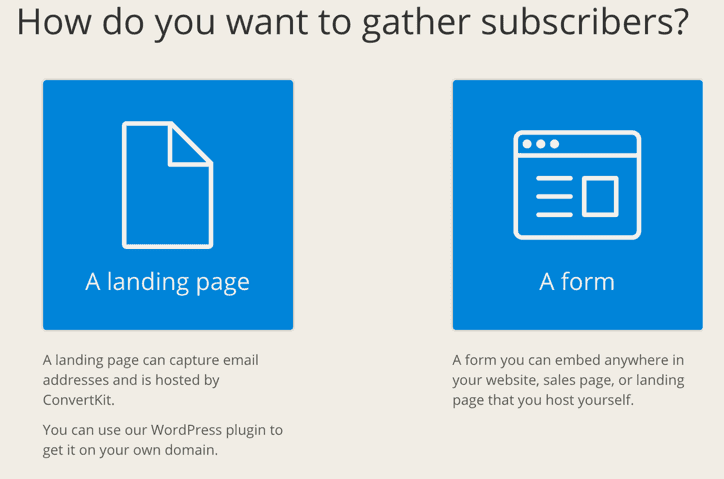 These are just a few of many options from the Forms feature on ConvertKit. If you have used Aweber or MailChimp before, you must be aware of Sequence already. On Aweber, it’s popularly known as a “follow-up sequence” & on MailChimp, it’s known as “automation”. 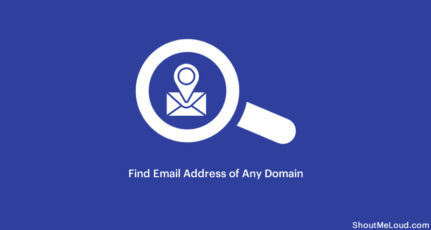 The sequence is what makes these email marketing services (EMS) so lucrative. 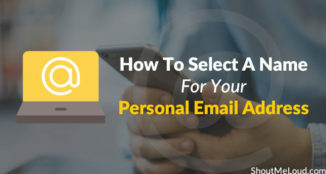 Once a user signs up for your email newsletter, they automatically receive emails using Sequence (autoresponders). This saves a lot of time & your email marketing is more or less on automation. Email sequence is the place where you need to spend the maximum amount of your time. Once you have setup your sequence properly, after that, it’s all a joy ride. In my case, I simply copied my email sequence from Aweber to ConvertKit. Broadcasts let you send out an instant email or schedule a future email to all your subscribers. You have the option to exclude users based on forms, tags, & other ways. Regarding broadcasts, you can use it to announce an epic post that you have just published on your blog, or you can send time-sensitive offers. In my case, I often send special tips & suggestions to my eBook buyers. You can send the same email to those who haven’t opened your last email with one click. With ConvertKit, the editor is easy to use. Within minutes, you can schedule a broadcast. Tip: Ensure that you start tagging from day one or else you could miss out on the benefit of segmentation. Automation is one thing that is making users move their email marketing service from Aweber or MailChimp to ConvertKit. With automation, you can do many things. 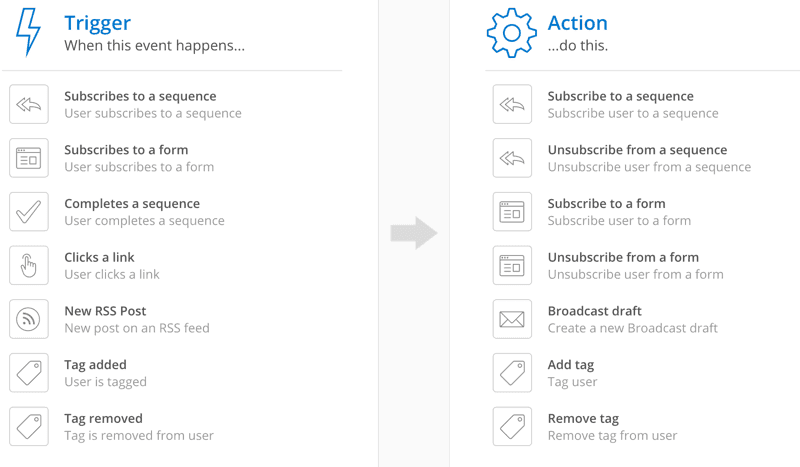 When a user completes an email sequence, you can move the user to the next email sequence. When a user clicks on a particular link in your email sequence or broadcast, you can tag them. 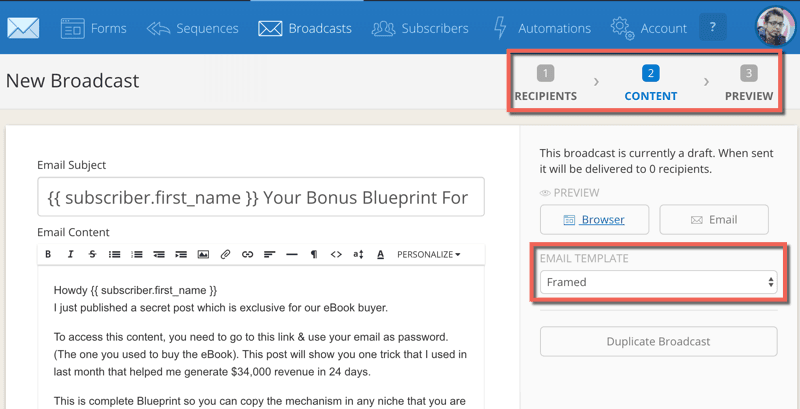 Example: When your subscriber clicks on a link in your broadcast which takes the user to a sales page, it will automatically tag the user as interested in your product (you only need to set this up once). 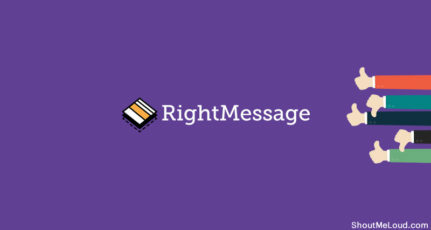 From here, you can start sending them email sequences related to your product. 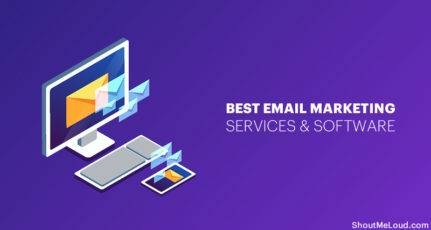 Automation is what makes any email marketing service remarkable. One thing which Nathan (CEO of ConvertKit) should do is add Blueprints… & then more Blueprints in the coming days. Anyway, I will be sharing my Blueprints in upcoming posts, but it would be good to have this on the official help page, as this Blueprint helps in making most out of the automation feature of ConvertKit. 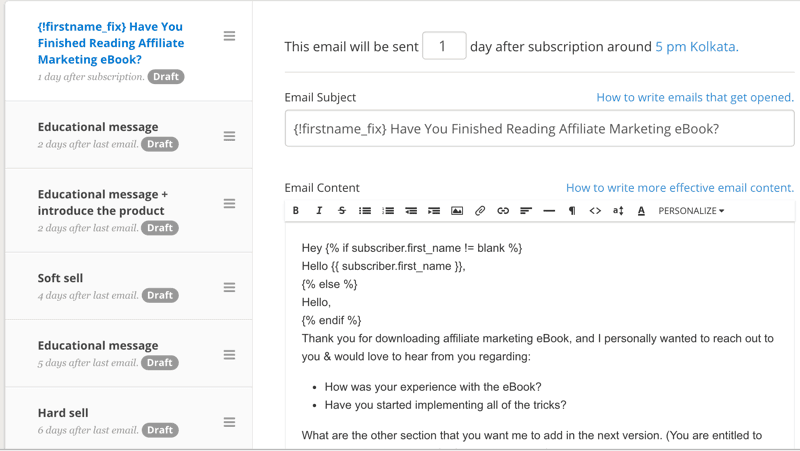 As mentioned earlier, I have moved the ShoutMeLoud email list from Aweber to ConvertKit. I hope this gives you a good overview of what ConvertKit (or any other email marketing service) can do for you. As I said above, this is the first post in our email marketing series & more will follow soon. Do let me know your queries in the comment section below. Also, if you have any suggestions or want me to cover any particular topic in email marketing, let me know in the comments. Hey there, I have one query regarding blogging. When did you start using email marketing tools? I think its pretty costlier for a newbie blogger. Let me answer that in upcoming posts. I will do a detailed post about it! 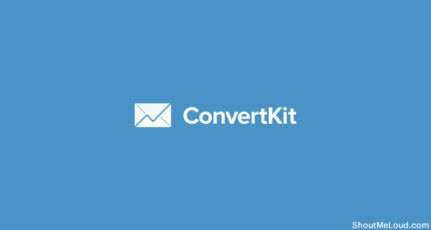 Great insights on convert kit. Just to let you know that you have made a typo “about $29/month for the first 100 subscribers” which i actually 1000 i believe. Quite Awesome Guide. The Features of Convertkit will urge anyone to move to it. That’s true Gurmeet. You should consider using it too. Long but very simple guide. Thanks for writing article in simple language. Glad you found the article very simple. Thanks for coming. ConvertKit is simply the best. You need to go check them out. Well, I use MailChimp for my email marketing campaigns. But I don’t know about Convertkit. Here this blog post, I have gathered best knowledge about Convertkit. I’m very interested in connecting with this network in next time. Thank you, Harsh, for this information. Mailchimp is good but i don’t like their restrictions. Its basically not a good option for affiliate marketers which to me is a NO NO. Is there any Trial version available for convertkit? I am now using mailchimp and happy with their segment option! But i want to try it. They paid me after lot of discussion. Though, they are yet to implement other form of Payment. I wonder how a big company like Aweber is still stuck at paying their partners via check. Nice article. I used to have an Aweber account but deleted that because monthly cost was more than what I was making from the list. Does ConvertKit have any trial? No, they don’t offer trial at this moment! Good overview of ConvertKit. I see some similarities with ActiveCampaign. Did you compare both options at some point? I am trying aweber recently and it appears I am not able to split my follow up series emails according to category1/category2/category3 preference users for example (or male/female to show another example). I think I should Have like 3 lists for the same site. Or may be I can do it I don’t know. What I would want to do is place a form and ask for name, email and preference of content : cat1/cat2/cat3 and then have 3 different follow up series emails. I know you used aweber in the past as you say above, so my question is : can I do this in aweber or I need convertkit ? You need to have 3 different list on Aweber for this. They have a campaign feature but it’s tough to execute. I would suggest use COnvertkit & it would make things easier. Welcome to ShoutMeLoud & good to see your comment. Yah! This method is anytime better than random bulk email blast. I’d like to import a 1080 message followup series from a Word or Text file. I can’t seem to do it in AWeber. Can I do it in Convert Kit? @Peter I’m not sure about this one. Just ping them on Twitter @Convertkit & they would reply. Harsh, Hi… I’m deciding right now between ConvertKit and GetResponse. Is it true that if you have multiple niches and or websites… GetResponse might be better? You can do the same with Convertkit. I’m using it for almost an year & its pretty good.